The Barcelona, Rennes, Florence and Amsterdam workshops were successful in bringing different companies into direct contact. As an example, a close collaboration between a France and an Italian company has been finalized. Other new contacts between SMEs lead to new commercial contacts and possible future collaborations. Following the networking and dissemination activities of Photonics Sweden, partner of OASIS, head of the National Veterinary Institute, Karin Artursson, contacted them. 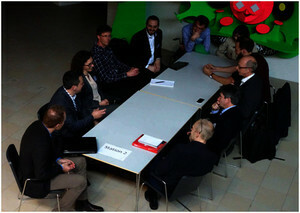 The first contact was taken in connection with the phase of inventory of the biophotonics companies, life science infrastructures and end-user needs. A further and more intensive interaction happened when the brochure of the Swedish biophotonics was being prepared in early 2015. In May 2015, Karin Artursson invited PhotonicSweden to a visit and a meeting at SVA (National Veterinary Institute, Uppsala, Sweden) to discuss their needs of new technologies. The main result of these new contacts is the organizationof the last OASIS workshop in Uppsala, in the campus of the Swedish agricultural university (SLU- Swedish University of Agricultural Sciences, Uppsala, Sweden) and just a few hundred meters from SVA. 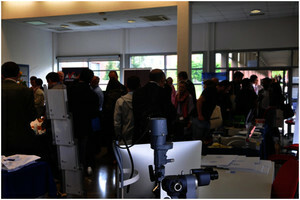 The event was the occasion to discuss new ideas with photonic solution providers, end-users, researchers and innovators in the fields of agriculture (e.g. the so-called precision farming), veterinary, and even in ecology (environment surveillance). The participation of the end-user from OPTOSCANA cluster is now resulting in new contacts between University, facilities and end-users and maybe in new projects on photonics-based devices for meat traceability.